Time to “Defund” the International Criminal Court, Should the ICC be Disbanded? The Assembly of States Parties is meeting this month in The Hague to review the work of the International Criminal Court and to discuss the ICC’s budget. The ASP is the International Criminal Court’s management oversight and legislative body. The Assembly also elects the judges and prosecutors and decides the Court’s budget. The court’s proposed budget for 2016 amounts to €153.32 million, representing an increase of €22.66 million, or 17.3 per cent, over the 2015 approved budget. At face value, far from increasing the budget for the ICC, the Assembly of State Parties should be demanding a refund. Established in 2002, the ICC is an impotent billion euro white elephant. 2015 has been a particularly bad year for the court. It has botched the Kenyan cases it has undertaken and its continuing alienation from Africa was centre-stage internationally when South Africa, previously a keen member, publicly ignored ICC arrest warrants and appears on the verge of withdrawal from the organisation – something seen by observers as a death knell for the court. The International Criminal Court has self-evidently failed across the board. In 2010 the ICC-friendlyEconomist had already found it necessary to publish an article about the ICC entitled “International justice: Courting disaster?” Things have worsened considerably since then. The ICC has consumed more than a billion euros in its 13-year existence and has only secured two deeply questionable convictions. 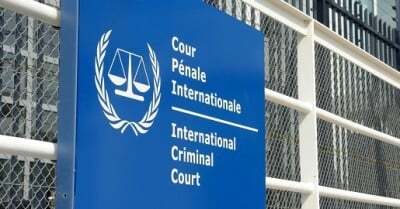 The ICC’s claims to international jurisdiction and judicial independence are institutionally flawed and the court’s reputation has been irretrievably damaged by its racism, blatant double standards, hypocrisy, corruption and serious judicial irregularities. The Assembly of State Parties should also accept that it has grotesquely neglected its responsibility to manage the court. The ASP has turned a blind eye to systemic failure on the part of the ICC. While the ICC pretends to be the world’s court this is simply not the case. Its members, however, represent under one-third of the world’s population: China, Russia, the United States, Pakistan and Indonesia are just some of the many countries that have remained outside the court’s jurisdiction. India, the world’s largest democracy, has chosen not to join the ICC because the court is subordinate to the United Nations Security Council and because it does not criminalise terrorism and the use of nuclear weapons. The United States has forcefully pointed out that the ICC is a kangaroo court, a travesty of justice open to political influence, and has said that no American citizen will ever come before it. That said, Washington is perfectly happy when it suits American foreign policy objectives to demand that black Africans appear before a deeply flawed court peddling sub-prime justice. The ICC pretends to be independent. Far from being an independent and impartial court, the ICC grants special “prosecutorial” rights of referral and deferral to the UN Security Council – by default its five permanent members (three of which are not even ICC members). The court is also inextricably tied to the European Union which provides over 60 percent of its funding. The ICC has come to be seen within Africa very much as a European-funded and directed instrument of European foreign policy. The Office of the Prosecutor, for example, has to date received approximately 9,000 complaints about alleged crimes in 139 countries. From these almost nine thousand alleged instances of serious abuses of human rights, the ICC has acted in eight African “situations”, and indicted 39 Africans, to the exclusion of any complaints implicating white Europeans and North Americans or their protégés. The ICC has turned a blind eye to self-evident human rights abuses well within its jurisdiction in Iraq and Afghanistan. Afghanistan is an ICC member state. As a result the court can investigate alleged war crimes committed by citizens of any country, ICC Member State or not, within its borders. Tens of thousands of civilians have died and well over one hundred thousand have been injured in the conflict in Afghanistan, many of them at the hands of NATO and US forces. The ICC has however ignored any allegations of war crimes by NATO, US or EU citizens in Afghanistan. Despite having consumed more than one billion euros the ICC has also shown itself to be stunningly dysfunctional. The court’s proceedings thus far have often been questionable where not simply farcical. At the heart of any judicial process is testimony provided by witnesses. The court has produced witnesses who recanted their testimony the moment they got into the witness box, admitting that they were coached by non-governmental organisations as to what false statements to make. In its first trial, that of Thomas Lubanga, a process that lasted seven years, the judges found all but one of the alleged former child soldiers presented as witnesses by the Prosecution to be unreliable. Dozens of other “witnesses” have either been similarly discredited or disavowed their “evidence”. This hallmark of incompetence continues to this day. Most recently the ICC prosecutor had to admit that one of its own star witnesses in its case against Kenyan Vice-President Ruto was “thoroughly unreliable and incredible”. In reality it is the Office of the Prosecutor that has been revealed to be thoroughly unreliable and unprofessional. There have been scandalous examples of prosecutorial misconduct, not least of which the ICC Chief Prosecutor hiding hundreds of items of exculpatory evidence, which should have ended any trial because they would have compromised the integrity of any legal process. The ASP has simply stood by doing nothing. That the International Criminal Court is corrupt is also self-evident. The Shorter Oxford English Dictionarydefines “corrupt” as “destroyed in purity, debased; vitiated by errors or alterations.” The Assembly of State Parties is responsible for the appointment of judges to the ICC. It is in the selection of judges that the ASP and ICC have been at their most corrupt. ICC judges – some of whom have never been lawyers, let alone judges – are the result of grubbily corrupt vote-trading within the Assembly of State Parties amongst member states and delegates. The relationship between appointments to the ICC and vote trading between states is an open secret. Selecting International Judges: Principle, Process, and Politics, a ground-breaking study of international judicial appointments, written by Professor Philippe Sands QC, and others as part of Oxford University Press’ International Courts and Tribunals Series, concluded that “the evidence leads unequivocally to the conclusion that merit is not the main driving factor in the election processes.” The study also revealed that “[m]any individuals who participate in the ICC process believe it to be even more politicized than other international judicial elections.” The sheer corruption of the process aside, the reality is that vote-trading results in mediocre judges which in turn leads to a dysfunctional, politicised court. It is clear that the both the Assembly of States Parties and the International Criminal Court are simply unfit for purpose. Far from granting the ICC yet more money, both the ASP and the ICC should be defunded and disbanded. Dr David Hoile is the Director of the Africa Research Centre and author of Justice Denied: The Reality of the International Criminal Court, a 610-page study of the ICC. The book is available to read or download at www.africaresearchcentre.org. The author can be contacted by email at[email protected].